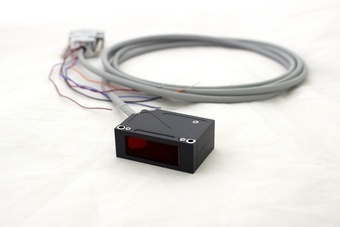 A new matchbox-sized 2D laser triangulation sensor from RIFTEK, represented in the UK by Ixthus Instrumentation Ltd, combines a choice of red or blue laser sources with a power output of 0.95 mW for measurement ranges up to 500 mm and linearity to 0.05% of range. Easily adapted for measurement of thickness, dimension/displacement, form and profile as well as object sorting etc., the new RF602 series laser triangulation sensors are particularly aimed at applications where restricted space or minimal weight are important machine design requirements. The new RF602 series includes six sensor models with measurement ranges from 10 to 500 mm and base distances from 20 to 105 mm. Full range resolution is 0.01% (0.02% for 105/500 version) and temperature drift is 0.02% of the range per °С. These laser safety class 2 sensors have a maximum sampling rate of 9.4 kHz that suits high speed/high throughput measurement. A red laser source is available for general use or an optional blue UV wavelength version is offered for applications where high temperature objects or organic materials are measured. The new RF602 joins a family of laser sensors from Ixthus that share a common PC-based service software platform. A wide range of configuration parameters allow flexible parameter set-up and digital measurement reading via RS232 for single sensors or RS485 for multiple sensors. Measured data output may also be can also be read through 4…20 mA and 0…10 VDC outputs. 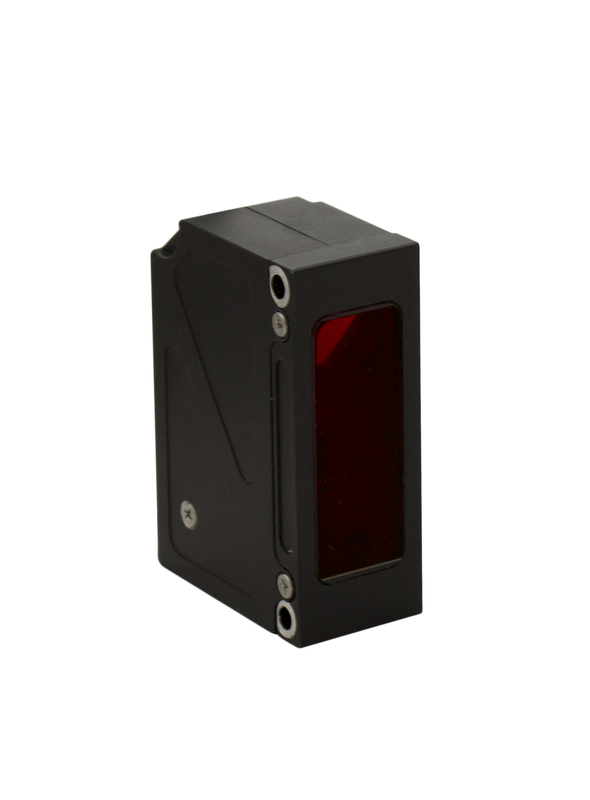 The sensor is housed in a robust IP67 rated anodised aluminium housing with a high strength glass window for maximum durability. With a -10 to +60 ⁰C operational temperature range and vibration and shock ratings that will suit moving machinery applications, the RF602 is well suited to heavy industrial use but can be equally practical for less severe environmental conditions. Cable connection with flying leads is standard and the diminutive 30.5 x 45 x 17 mm (w x h x d) housing includes front fixing holes for straightforward mounting. Ixthus provides a complete sales and technical support service for RIFTEK’s comprehensive range of optoelectronic 2D and 3D measurement devices and systems. The Towcester based sensors and transducer manufacturer works closely with other select distribution partners to offer high precision inspection and test systems solutions for its customers across industry and research. Further information about RIFTEK’s new RF602 and other specialist Ixthus measurement products and services is available from info@ixthus.co.uk or by visiting www.ixthus.co.uk.